Pickleball is happening all over the country and soon the leagues in Lac du Flambeau, Eagle River, Mercer and Three Lakes will be joined by another Northwoods venue. Despite being one of the fastest growing sports, many have no idea as to what pickleball is. Combine badminton, tennis and ping pong, and you will get the idea. Pickleball is played on a 44 X 20 ft. court, which is a little less than half that of a tennis court. The paddles resemble a cross between racquetball and table tennis. As for the batted sphere, it is somewhat of a slower moving whiffle ball. 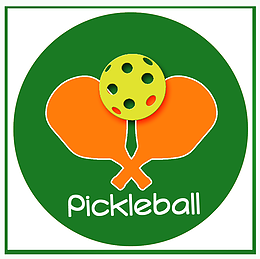 With plans to include a pickleball court in our new center, anyone interested in helping to promote this endeavor, or create a club, should give us a call at (715) 356-9118. This entry was posted in News on May 28, 2018 by n_w_d.